All my life my parent's bedroom has never been complete. No matter where we lived they always left it as the last room to be decorated, meaning they never had a finished bedroom. I finally decided enough was enough – my Dad had built in wardrobes that were never finished, a carpet that was probably older than me and way too much stuff in his bedroom. 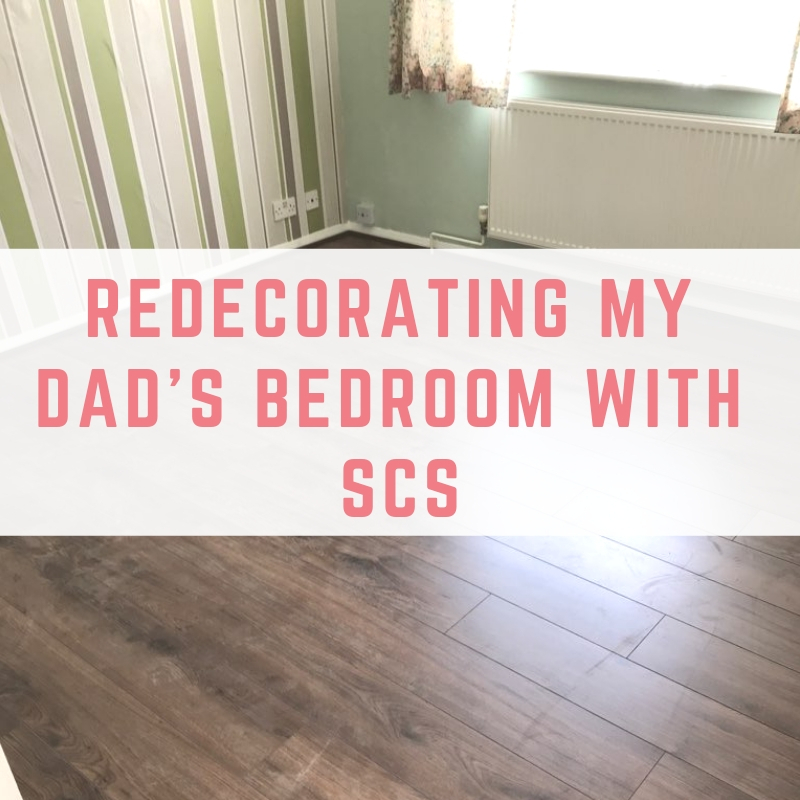 In this post I've teamed together with ScS to tell you about my Dad's bedroom redecoration. The first thing I want to mention is that the room still isn't finished. My Dad has struggled with his health a lot over autumn and winter, meaning we have to fit in an hour or two where we can. We are finally on the last stretch – my favourite bit of putting together the finishing touches with soft furnishings and new bedding. To give you an idea of how slow this process has been, we bought the paint for my Dad's room back in the August bank holiday last year. I cannot even begin to tell you how much stuff my Dad had in his bedroom. Some of it was even mine! Old school reports and things just piled in boxes under the bed. My Dad is still decluttering items today, but we spent a lot of time here together figuring out what to keep and what to get rid of. As a bargain hunter I made sure that we got greats deals or made use of offers where we could. 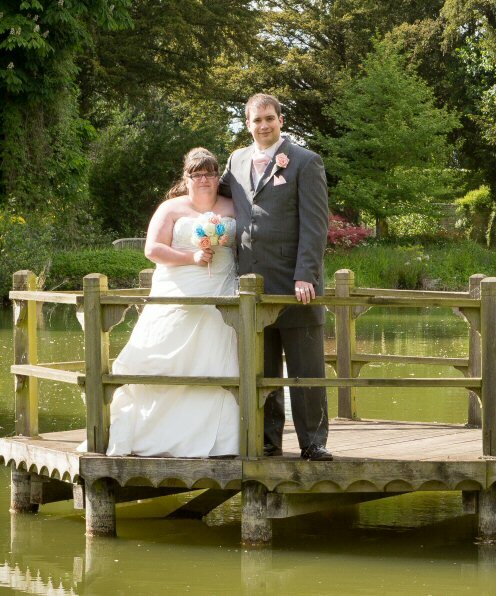 We purchased items on sales and even got my Dad's Argos furniture from their eBay store because we could earn more Nectar points from the eBay store than shopping directly with Argos. We have picked up items from charity shops too. Before heading out we didn't know what flooring to choose. My Dad was concerned that laminate flooring would be too cold for him and I was concerned that carpet would be too difficult to clean with an elderly cat who sheds so much. 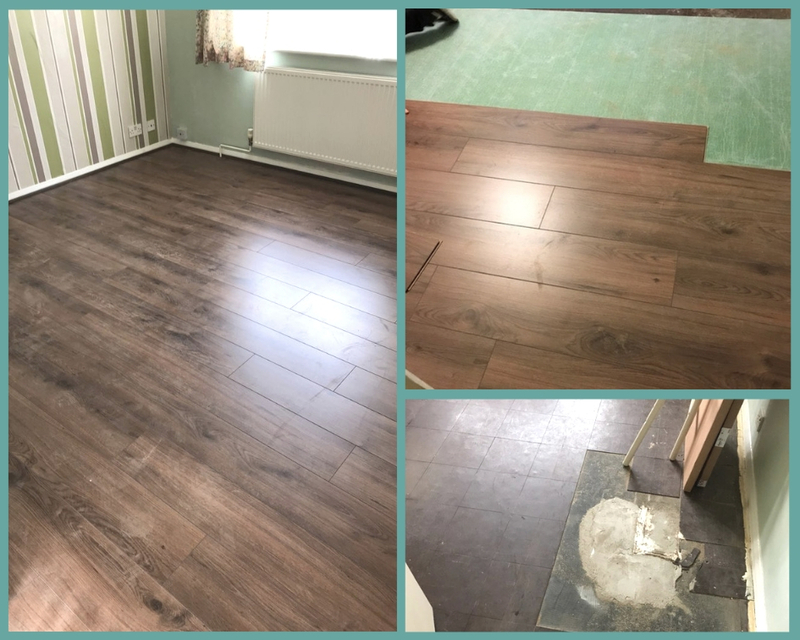 We visited ScS in Cambridge where staff were extremely friendly and helpful when it came to choosing the flooring. 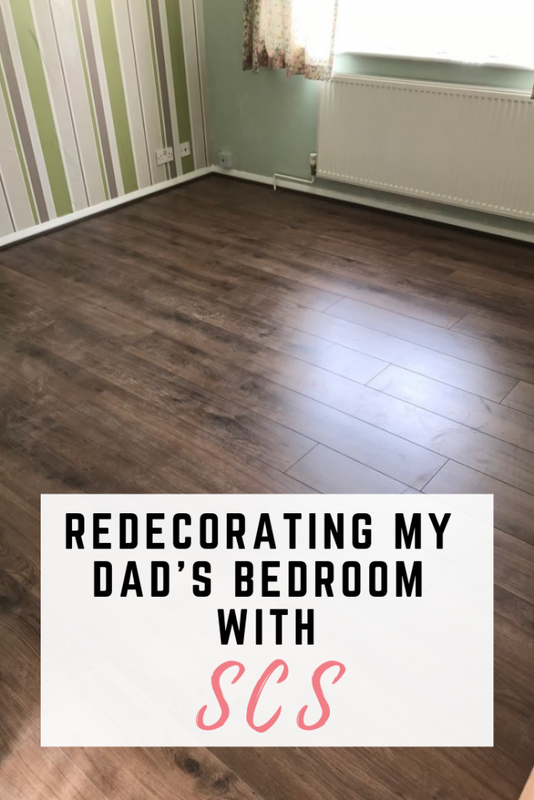 We had a quick look through the carpet selection but we quickly realised that the laminate flooring options were beautiful and would suit my Dad's bedroom perfectly. 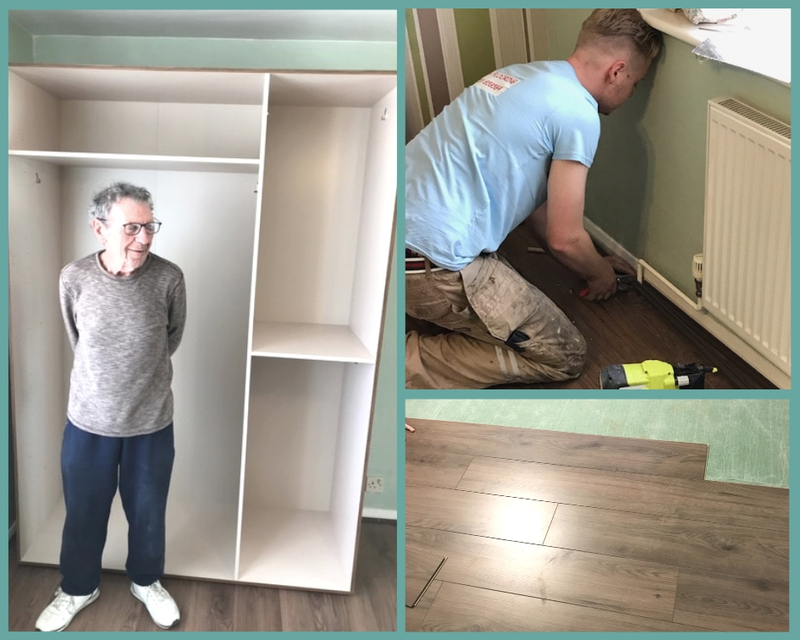 We were able to look through the laminate flooring options on offer and choose one suitable for my Dad's bedroom. After choosing my Dad's new flooring there were still a few things that needed to be done. First of all, the room needed to be measured, and then the floor needed to be prepped. The floor prep needs to dry before flooring can be laid on top of it, which was something we didn't realise would need doing. I can't believe how quick the flooring was to fit! It instantly improved the room and looks great. There are just a few things left to do to get my Dad's bedroom looking great! We've finished building the new furniture with him, so now its time for soft furnishings. We need to set up his new lamps, hand pictures on the walls and decorate with the ornaments and cushions. I can't wait to show you the finished project! Aw Emma this is amazing. I know your dad is a huge source of motivation and inspiration for you so it must feel amazing to be able to give him something in return. Nothing better than a freshly redecorated bedroom and I’m 100% sure he deserves it.